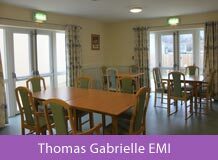 Virgo Care Homes is a local family company with over 15 years experience in the care sector and we have three care homes that specialise in Dementia Care and Complex Nursing Needs. We are registered with the Care & Social Services Inspectorate for Wales (CSSIW) and a member of Care Forum Wales. 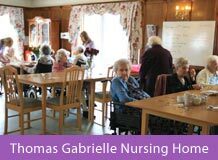 We have a Philosophy of Care that is person centred and we endeavour to create at all times a warm, friendly and caring environment in the Homes, providing opportunities for individual clients to pursue and enjoy wherever possible their own previous activities and interests. 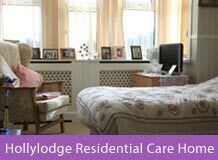 Our website will give you an understanding of both homes and the services that are offered. However we understand that you can only really get to know a home after visiting, so we welcome any visitors to the homes and offer trial periods so that we ensure any placements are mutually agreeable. "Just a little thank you for all your kindness to us during a very sad time, especially for your kindness to mum." ""Thanks for all the care and kindness you’ve shown our mum and family, we really appreciate all you’ve done." "Our heartfelt thankfulness for all your loving care to our precious mum when she needed you there."